Chad Fields is a Hygiene Recruiter with DentalOne Partners & DenatlWorks and has been with the company since June 2016. There’s no question that he loves the company and the industry, trust us. 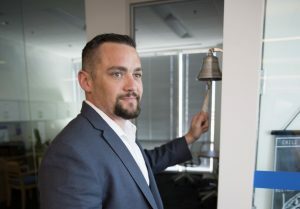 He’s an awesome ambassador for the company and a great resource for those interested in learning more about why so many people love working in our supported practices. 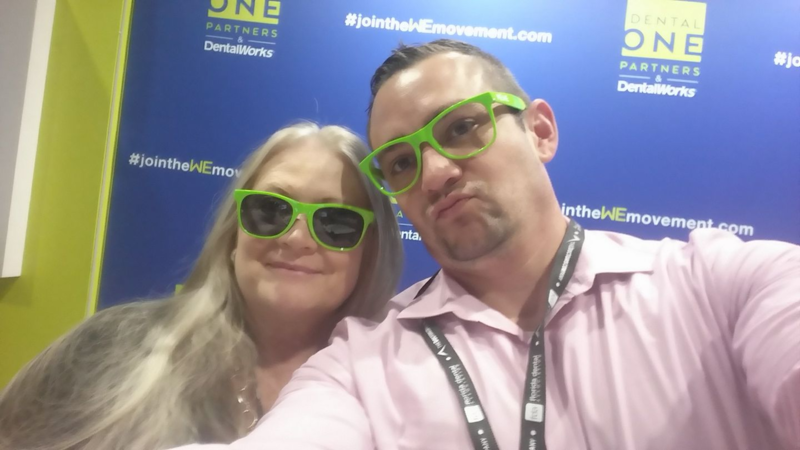 At any conference, take a minute to say “hi” to him at the booth, and if you can keep from laughing at his neon green lens-less glasses, he’ll tell you why DentalOne is turning heads in the industry. We took this time, as Chad begins to prepare for the Under One Roof Conference in Chicago, IL this week, to ask him some questions about all the conferences he’s attended. He loves frequenting them, and can’t wait to see you all in Chicago! 1.Since you are the Conference King, what is the coolest thing you have seen at a conference? A: One of the most heartwarming things that I have ever seen in all my conference visits, is seeing doctors that Kathy Marin, Regional Doctor Recruiter, has hired come up to her at a convention in Florida to thank her. When they recognized, her they were so emotional, they literally they had tears in their eyes. Kathy is such an incredible person to work with and someone I call a close friend. Kathy leaves a wonderful impression on everyone she interacts with. 2. Why do you enjoy going to dental conferences so much? A: I enjoy going to conferences because I love getting to engage with people and share my passion for the company. I also love letting people know about a company that is changing the industry for the better. Helping hygienists find a forever home and a place they truly enjoy coming to work at every day is absolutely the best and most rewarding part! 3. 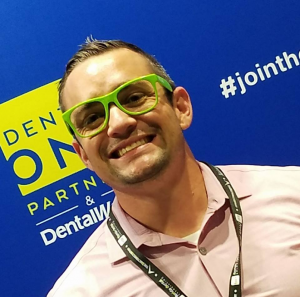 Why is the DentalOne Partners & DentalWorks’ booth better than all the rest? A: Two words: Selfie Station! From what I have seen, we have the most fun and engaging booth at any conference. Whether someone wants to come get a selfie with all their friends or just stop by to jam out to some 80’s pop music, we are for sure the best booth ever! 4. How will people be able to find the booth at this week’s Under One Roof Conference in Chicago? A: Follow people wearing the green sunglasses J Follow your ears to the rockin’ tunes, and bring your dancing feet! If you can’t make this conference, it’s not a problem, check out our dental careers page! 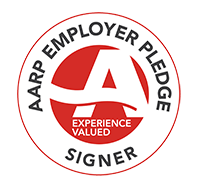 There you will find a fun and exciting blog about all the activities going on at the home office and supported practices, our open positions in need of being filled, and an interactive Culture page! We’ll catch you at the next conference! Next PostNext » Happy National Happiness Happens Day!